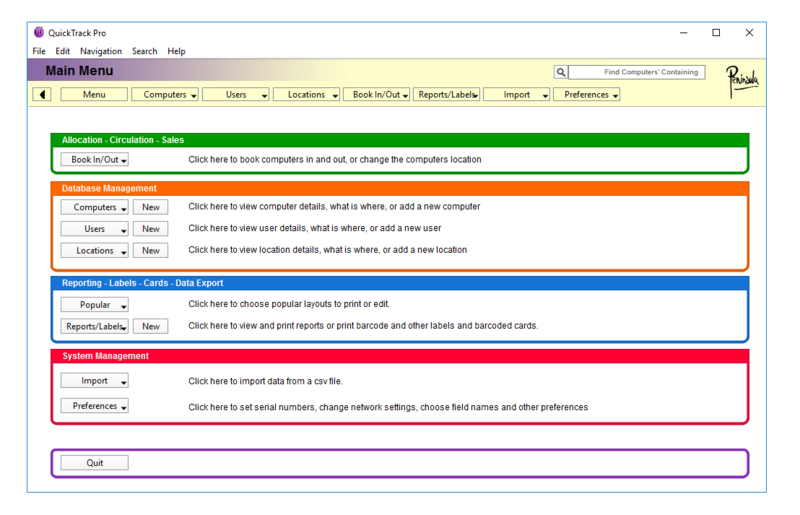 You will see a "Items" tab, this will be the second tab along on the top row. 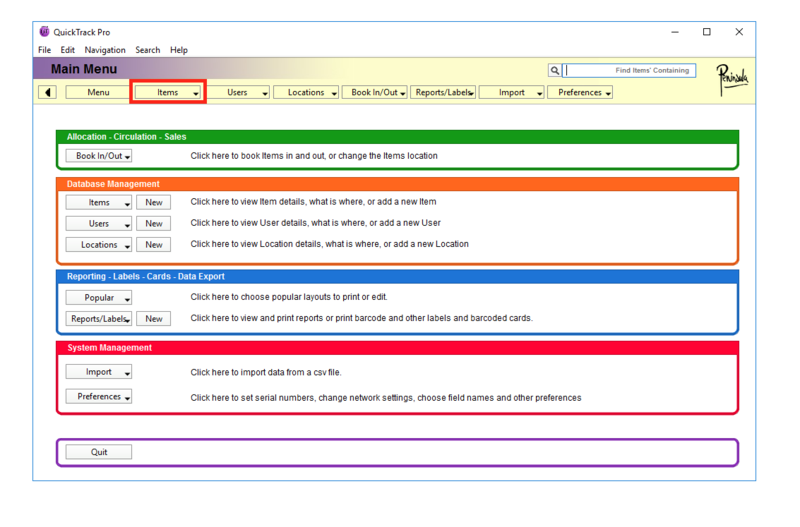 After clicking on the "Items" tab, you will see a drop down menu. 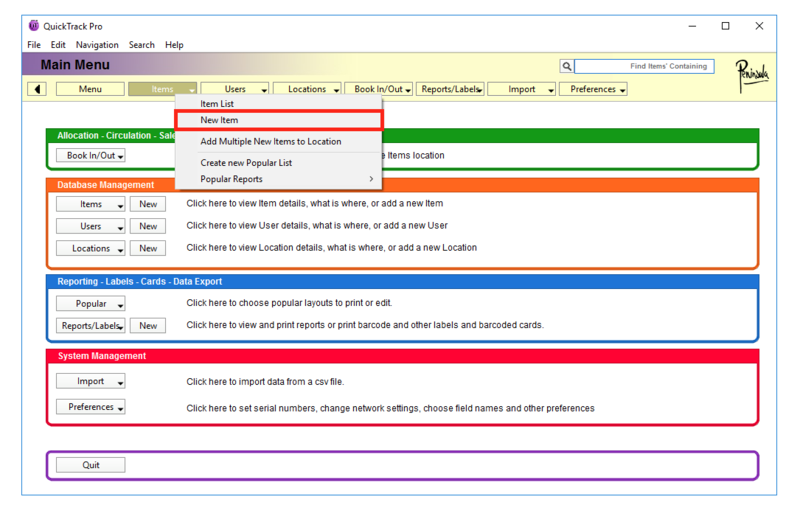 Navigate to the "New item" tab and click it. After clicking on the "New item" tab, a new dialog will show. It should look like the image above. 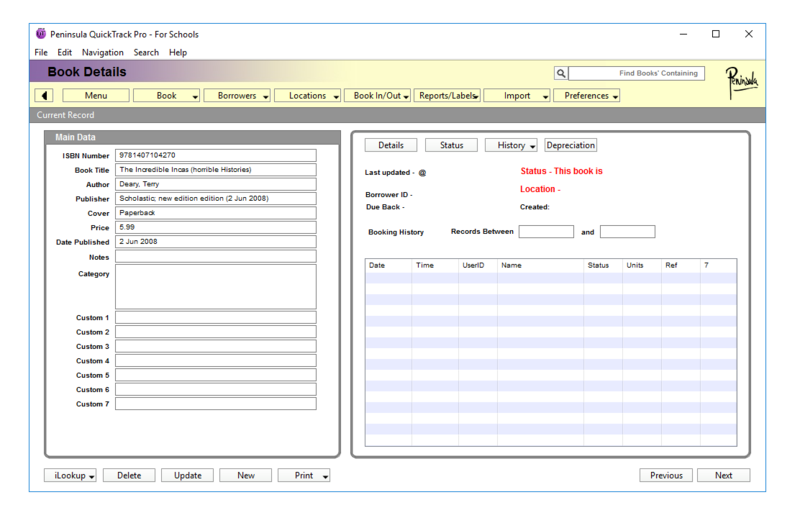 Here you can input all the required item details, or if your inputting books you can scan the book. and it will input the details for you. 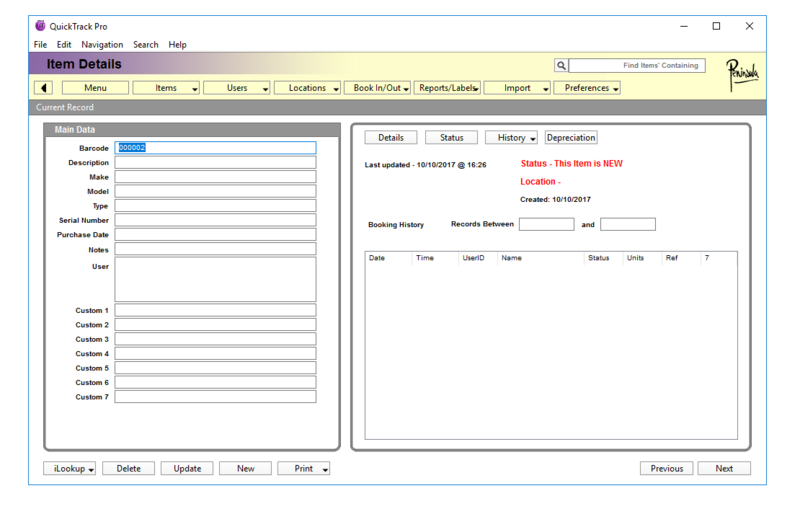 In the Dialog above we have inputted the ISBN number for a book to show you what will happen. 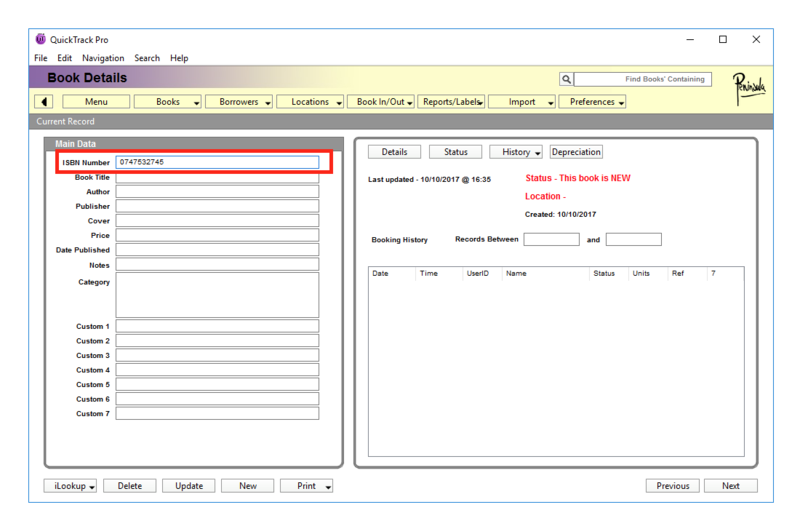 But when scanning books with a Barcode reader this number will be automatically inputted and the search will be done. We have shown you how to input a book using an ISBN number as an example. 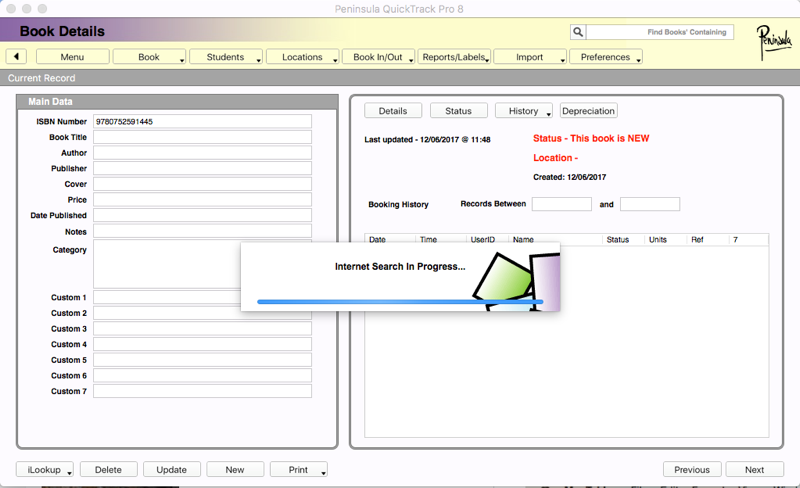 The above dialog is showing the Quicktrack doing an internet search to find the book details. The search is done by using the ISBN number we inputted earlier. 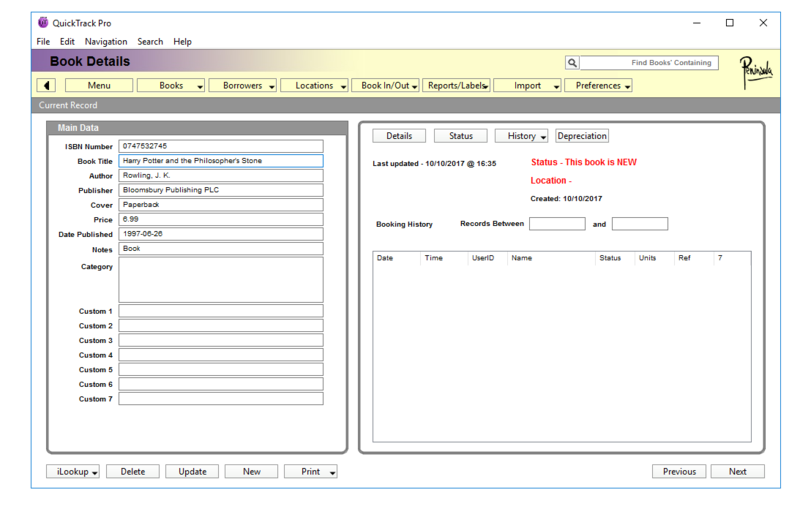 The dialog shows the information the internet search has received about the book and automatically inputted into the database. 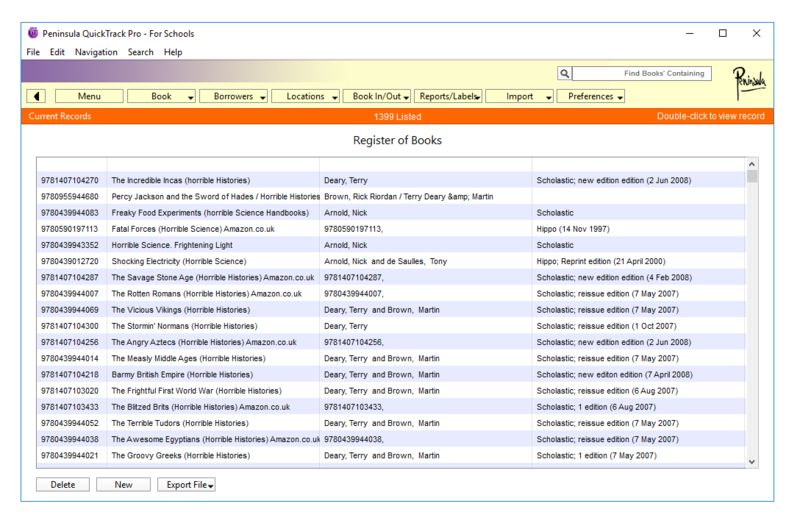 Here we have an example of what a book might look like in the Quicktrack library software. 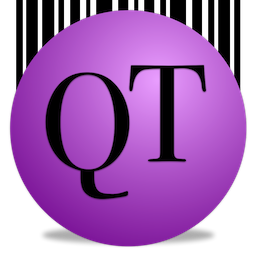 after adding many books to the Quicktrack library database.